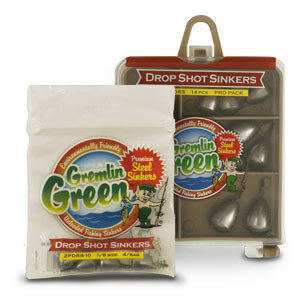 Water Gremlin’s Premium Steel Drop Shot Dipsey Sinkers are named Gremlin Green and are one of the true environmentally-friendly sinkers on the market. 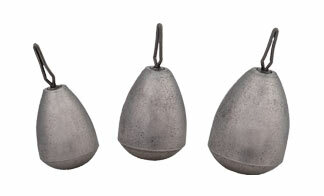 Premium Steel Drop Shot Sinkers are made to attach easily for many different Bass and Pan Fish Rigs. Work the weeds and rocking bottoms and never worry about losing that rig.